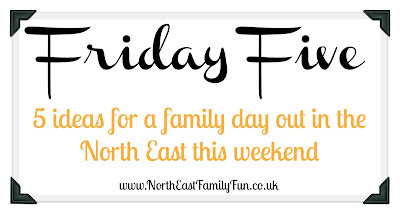 I have been spoilt for choice when looking for ideas for this weekend's Friday Five as there is SO much going on in the North East this bank holiday weekend. 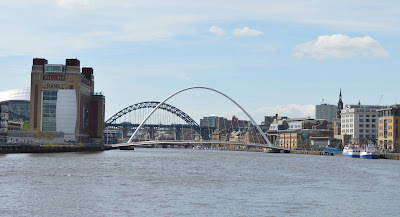 For further inspiration, check out Toon Advisor's 10 Awesome May Bank Holiday Weekend Events, our 10 Ways To Save Money On Going Out Over May Half Term or our Top 10 North East Castles. See some of the world's most amazing creatures as you've never seen them before in this fantastic new exhibition from Body Worlds. Over 100 real animals have been preserved using plastination ranging from eels to goats to giraffes. Due to the nature of the exhibition, it is recommended for children aged 8+ however entry is allowed to everyone at parent's discretion. Vikings have invaded Lindisfarne Priory. Learn fighting skills and warrior tactics as you join in Viking warrior school, listen to gruesome story telling and more as Holy Island is taken over by Vikings for the weekend. Learn the art of kite flying on Hadrian's Wall with kite flying, kite workshops, expert demonstrations and the chance to speak with kite experts and specialists. Don't miss the kite finale at 4:40pm when all kites will fly in the sky together. If you can't get to the beach, Dalton Park will bring the beach to you with the help of Heritage Coast Partnership. On Saturday 28th May between 12 noon - 4pm experts will be on hand to help you make the most of our coast. There will be lots of fun activities for families including face painting and craft activities. Activities continue throughout the week with treasure hunts, pirates and a few visits from Dalton himself. Best of all, it's all FREE. The Proper Food & Drink Festival kicks off it's 2016 season in Bents Park, South Shields. With free entry and dozens of local, national and international food it is a festival any foodie will not want to miss. There will be street food, stalls and food to take away. I just saw the ad for Gunther Von Hagens Animals Inside Out and I really want to see it myself, I'm not sure about Looby though, she might be horrified that it's dead animals, much like the reason I still haven't seen his Body Worlds human one, I think this stuff is fascinating though. I'm taking my girls to see the Animal Inside Out exhibition next week....My girls are really looking forward to it.